I thought it might be interesting to share a piece I have recently written about the impact chronic stress on our muscular system and fascia network, and how this then affects other systems in our bodies creating a cycle of pain, inflammation and fatigue. One of the key aspects of the stress response is the muscular contraction. We need these muscular contractions to get us away from the real or perceived threat, however, when overused it can become a serious health risk leading to chronic illness. Stress also exaggerates postural strain by increasing muscular tension and irritated and tense muscles are more vulnerable to injury. Increased tension can send the muscles into spasm and can lead to a lack of blood/oxygen, increased lactic acid and an increase in pain. Lactic acid is the chemical telling the brain that you are under stress, this sounds the alarm further increasing overall muscular tension. 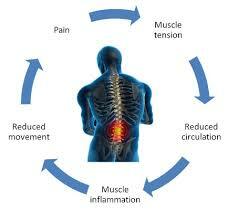 Chronic muscle contraction can also be caused by trauma, emotional holding, poor posture and chronic stress. Once in place it sets up a cycle of pain and the muscular contractions take up tremendous energy, reducing blood flow, increasing inflammation and reduced nutrient uptake by the muscles. In addition to muscle tension, stress results in hormonal and neurotransmitter changes in the body, which can contribute to pain. These changes involve biochemicals such as serotonin, cortisol, endorphins, norepinephrine and dopamine. Cortisol is beneficial under short term stress, however, abnormal patterns of cortisol secretion can result in inflammation and autoimmune disorders. This in turn can lead to increased pain. Fascia is the body’s connective tissue. It is a head to toe, inside to out, all-encompassing and interwoven system of fibrous connective tissue found throughout the body. Your fascia provides a framework that helps support and protects individual muscle groups, organs, and the entire body as a unit. 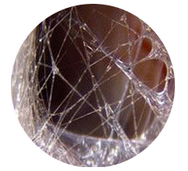 We all have a layer of fascia directly beneath the skin that completely envelopes the body, giving another protective barrier between the skin and the deeper soft tissue. So much pain, tightness, and discomfort are unnecessarily caused by distorted fascia. Distortions in fascia can pull, torque, and compress the body into misalignment. 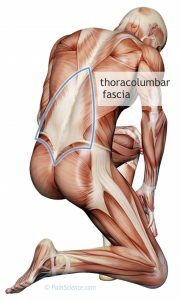 Studies show that fascial tension in one structure – such as the knee – can cause tension or issues in adjacent structures, such as the hip or ankle. Some common conditions you may have heard of like plantar fasciitis, IT band syndrome, and frozen shoulder are all attributed to distortions in your fascia. When the fascia is tight, it can constrict the nerves and actually block off the nerve signal. The autonomic nervous system (nervous system that controls bodily functions not directed by conscious thought i.e. breathing) is directly connected and has innervation with the body’s fascial system. It perhaps now makes sense that managing our stress levels with a regular monthly massage and/or attending a yin yoga class (yin specifically targets the fascia) or meditation class, will have a huge impact on reducing pain and inflammation in the body, balancing biochemicals and generally enhancing wellbeing.